A new speedroid boss monster! (1) If this card is Synchro Summoned: You can activate 1 of these effects. • Destroy all other cards on the field. • Negate the effects of all face-up cards your opponent currently controls. 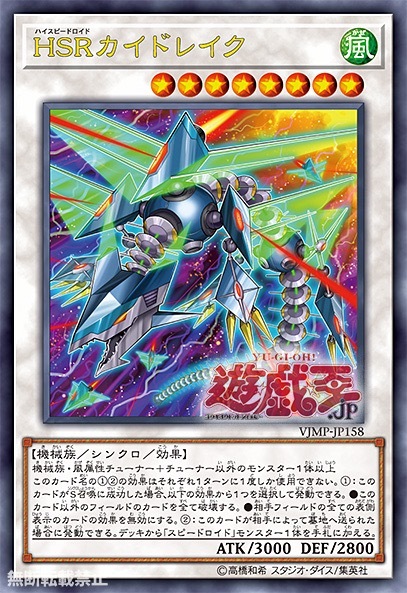 (2) If this card is sent to the GY by an opponent’s card: You can add 1 “Speedroid” monster from your Deck to your hand.